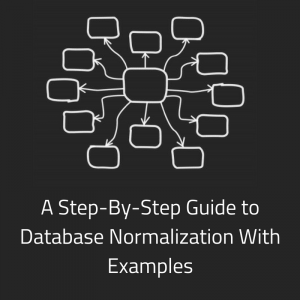 Have you ever needed to update data that was already in a table in Oracle? Learn how to do this with the Oracle UPDATE Statement. What Is the Oracle UPDATE Statement? 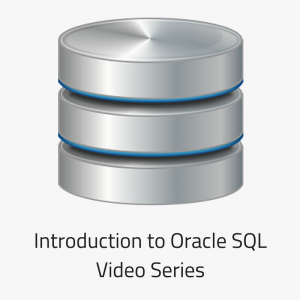 The Oracle SQL UPDATE statement allows you to change data that is already in a table in SQL. The INSERT statement lets you add data to the table, and the DELETE statement lets you remove data from a table. But the UPDATE statement changes the data in the table, without deleting it. It saves you having to delete and re-insert the data. 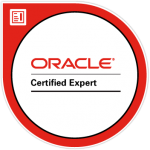 What is the Oracle UPDATE Statement Syntax? tablename: The name of the table you want to update. column1/2/n: The column whose value you want to update. value1/2/n: The value or expression to use for the new value. condition: The condition in the WHERE clause to specify which rows to update. This is optional. If it is not provided, then all records in the table are updated. query: The SELECT query that returns the value you want to set the column to. 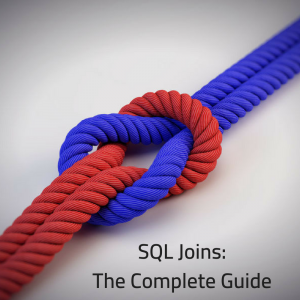 Let’s have a look at some examples of the UPDATE SQL statement. We’ll update a single column and single row in this example. This has updated the student record with a student_id of 2, and set the fees_paid value to 100. 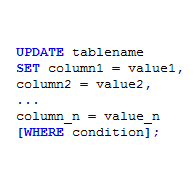 You can update multiple columns in the same table in a single UPDATE statement. This has updated both the fees_paid and fees_required fields for the student record with a student_id of 4. Note that there is a comma separating the fees_paid = 500 and the fees_required. As mentioned in the syntax example earlier, you can use a subquery inside the UPDATE statement to set a value based on a query. This example will update the fees_required value of the record with a student_id of 5. The value it will set it to is the MAX of the fees_required value for all records in the student table. Notice that the WHERE clause is outside the brackets, meaning the condition applies to the UPDATE statement and not the SELECT statement. You can also run an UPDATE statement and use a subquery in the WHERE clause. This query will find the MAX of the fees_required field, find all rows that match that value, and update their fees_paid to 400. You can use the EXISTS keyword in the WHERE clause along with a subquery. This is often a more efficient way of filtering (but not always). This will update the fees_paid value only where a matching value in the address table is found. This is just an example, but you can use the EXISTS function in a more meaningful way. Because the WHERE clause is optional, you can run an Oracle UPDATE statement without it. It will update every row in the table. This will set the fees_required value to 100 for every record in the table. This is most likely not what you want to do – so be careful! Another way of updating only the values you want is by using an inline view. Instead of specifying just the table, you can use a subquery, which is an inline view. This is also called an “update select”. This is another way of updating a single record using the Oracle SQL Update command. 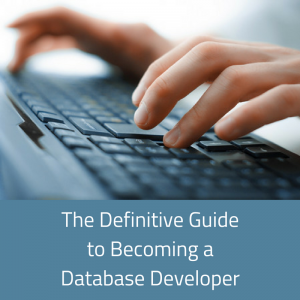 You can also use a subquery to update two columns at once. This can be easier to read and write, especially for large queries. This will update both columns using the one SELECT subquery. It saves you having to write the query twice (once for each column) and therefore saves Oracle from running it twice. Can You Update Multiple Tables in a Single UPDATE Statement? No, you can’t. You can only update a single table in an UPDATE statement. You’ll need to write separate statements to update a different table. Why Is My Oracle UPDATE Statement Not Working? Convert the statement to a SELECT and see which rows are returned. This will give you a preview of which rows will be changed. If no rows are being returned, it means your UPDATE statement won’t update anything, and you won’t get the results you’re looking for. You might be trying to set a value in a column where the data type doesn’t match. Then, check the data type of the value your setting the column to. You can run a SELECT statement on this value if it’s from a table, or look at it and see if it matches. You could run a SELECT FROM DUAL on the value, and use the DUMP function to see the data type as well. Perhaps you need to review the logic of your update statement if it’s not giving the results you are expecting. 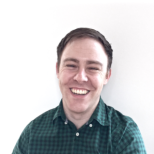 Are you missing a join in a subquery? Are you selecting from the right field? Is your WHERE condition correct? Double-check the query to make sure it’s correct. If you still can’t get the UPDATE statement working, then perhaps you can ask a team member to review it. Sometimes they can spot things you don’t, because you’ve been looking at it for so long. That’s happened to me many times. They might also know the system a bit better or might have had the issue before. In any case, asking a coworker for a review might help you correct your query.